The unique soft textured powder helps to control the sweat and give a smooth coverage to the skin. Thereby hiding the spots and freakles. Apply the powder with puff for complete coverage and Matte finish. Aloe vera extract, rose oil, clove oil. 100 % vegetarian, no animal ingredients. The packaging is something interesting and innovative for this affordable price. 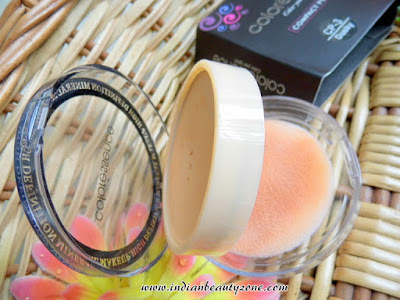 It has two shelves, one contains the pressed powder and the other contains the mirror and the sponge powder applicator. It is completely a travel friendly packaging. The Texture is very fine powder and it is silky soft to blend on the skin. It has a very nice smell that doesn't bothers one's nose. The shade I have opted for me is CP_3 Dusky. It has nice shade selection and I felt dusky shade might suits me well, so I bought this shade. 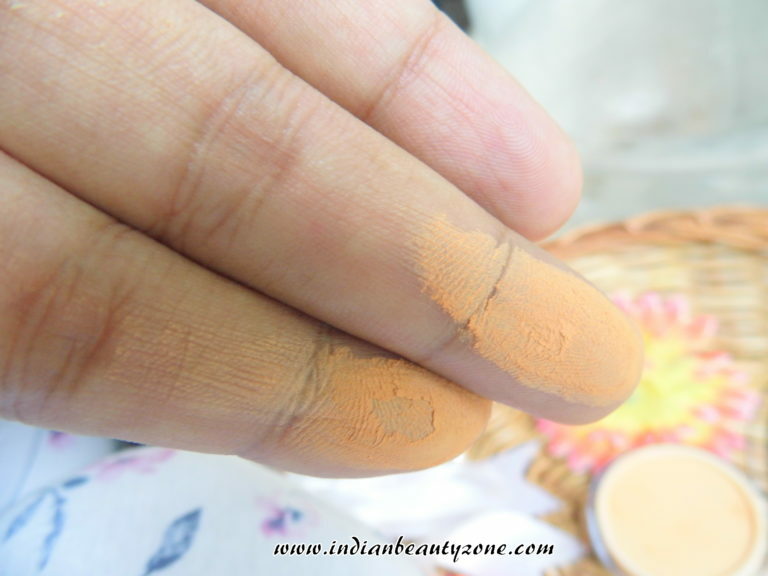 The shade has slight orange undertone where my skin has yellow undertone. But to my surprise this shade looks good on me and matched well with my medium skin tone. It gives the maximum coverage of an ordinary compact powder. When you apply it little extra you can hide your light spots and minor problems from your skin. 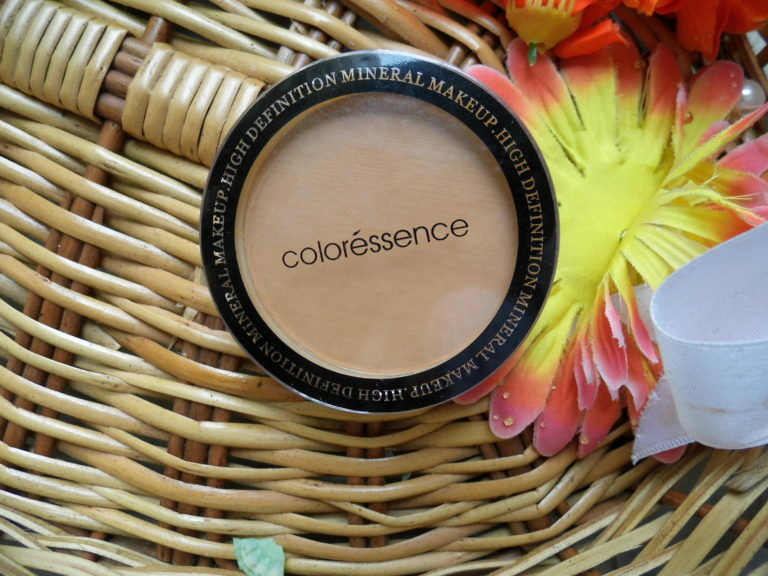 I can say that this powder gives the best coverage for its price. It stayed well for 4 hours on my oily skin during winter and during summer the T-zone will starts to shine after 2 hours where you will need to touch up. It blends on skin well and gives a soft and natural finish. It didn't cause any breakouts. It didn't hide any freckles as they said but it is ok for the price I can't expect more from this product. It doesn't exaggerates the dry skin peels. You can get it from offline stores also. 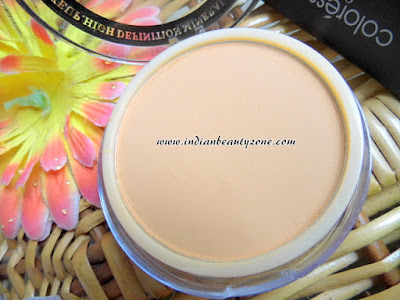 Good shade collections for Indian skin tone. Best suitable for combination to dry skin. 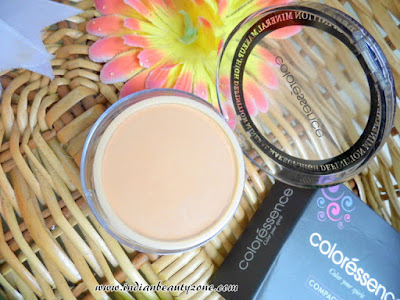 Blends easily and gives soft finish. Oily skin may find less staying power. 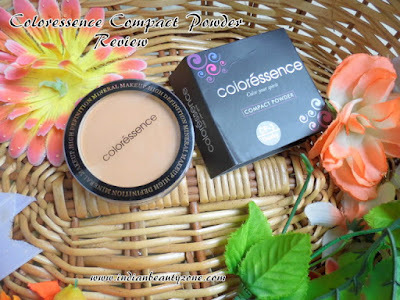 Coloressence Compact Powder is the best budget friendly compact powder for college and office going girls who have not very oily skin. It is an affordable option for college going girls especially.